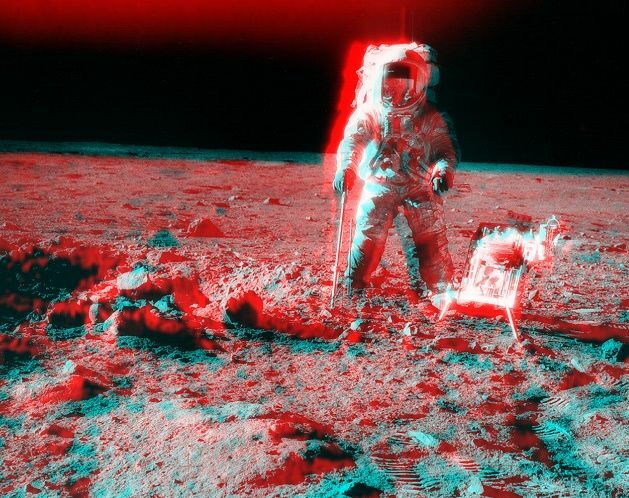 Explanation: This weekend's stereo picture finds Apollo 12 astronaut Pete Conrad standing on the lunar surface near the southern rim of Surveyor Crater in November of 1969. With red/blue glasses you can gaze beyond the spacesuited Conrad across the magnificent desolation of the Moon's Ocean of Storms. Conrad stands next to large chunks of loose rock, debris from the small impact crater. A sampling scoop is in his right hand and a specially designed tool carrier rests by his left foot as he poses for the picture. His photographer, fellow astronaut Al Bean, captured two separate images (cataloged as AS12-49-7318 and AS12-49-7319) by doing something like a stereo "cha-cha" ... taking the first picture while resting his weight on his right foot and the second after shifting to his left. 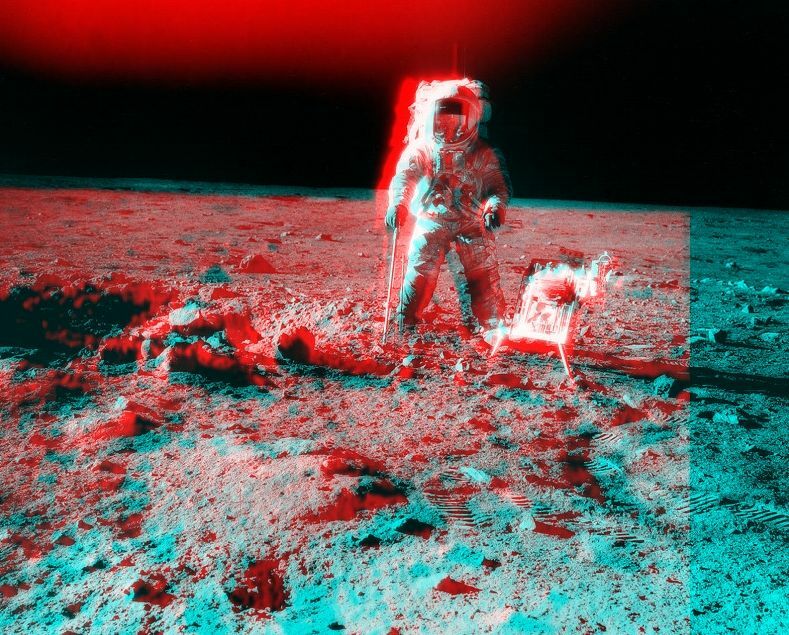 With the first tinted blue and second red, the pair of pictures were offset and combined to create a 3D anaglyph. Donning red/blue glasses allows the result to be viewed with stereo vision.